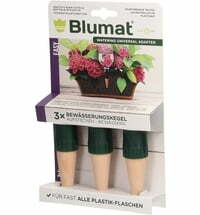 With the automatic irrigation system from Blumat, your plants are guaranteed to always be well supplied. The innovative plant irrigation system uses Blumat drip heads and drip hoses to deliver as much water to your environment as your plants need. This not only makes everyday life easier, but your plants also stay healthy and strong when you are on vacation. And you do not have to find anyone to water your plants at this time. It is so much easier and more comfortable! 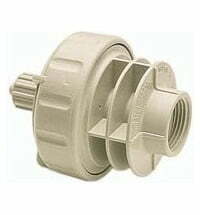 With numerous accessories available, you can tailor your Blumat irrigation system to your personal needs. 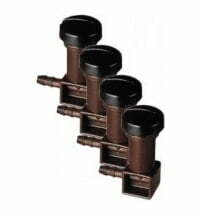 You will find in the manufacturer's assortment special accessories for garden, terrace and balcony plants. This is specifically adapted to the different needs of individual plants and facilitates their rearing and care. The Blumat Digital is a very special tool for hobby gardeners who are only satisfied with the very best for their plants. The Blumat Digital shows you exactly how much water your plants need at the push of a button. 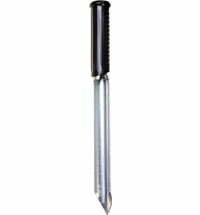 Using a professional moisture sensor, Blumat Digital accurately determines the suction power of the plant roots. From this data, this useful helper calculates the individual water needs of your plants and supplies them exactly with the amount of water they need right now. 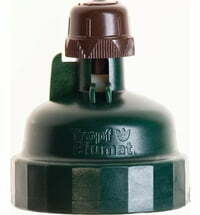 The Blumat irrigation system can be used in a variety of ways and reliably relieves you of both important and laborious work in your garden, on your patio, on your balcony and in your home. So it creates a thriving paradise full of healthy and vigorous plants - all with a plus of free time for you!